A Super LOW MILEAGE ... 9800 miles,,,2017 Chevy Cruz LT Model in a good looking power,,sky blue is now being offered for sale at Valley Auto Sales here in Green Valley! Very Nice and a lot of features in all power equipment ,,,drivers seat, automatic, AC,, windows, door locks, back up camera, outside mirrors with signals, great audio system with all your Bluetooth features. Sitting on alloys \with great tread tires...just an overall great looking sedan. 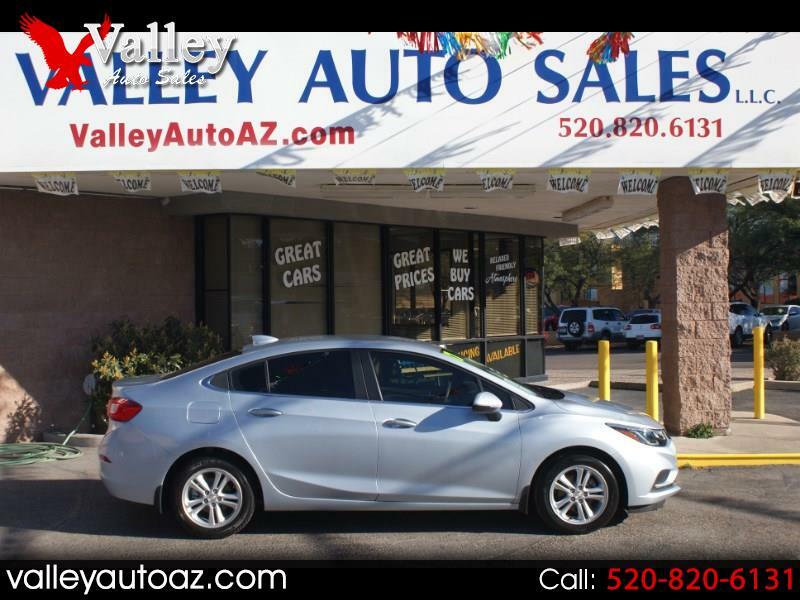 Clean Carfax and AutoCheck for your peace of mind,,,just ready to go...Come with our FREE (2) Year Maintenance Plan that is easily serviceable here in Green Valley,,,,definitely priced to see at this price for the year and especially the mileage...call Bill at 520.820.4228 and come by for a look and a drive....thanks for looking and thanks for the consideration! !